Today, the ever-changing urban demographics and hot real estate markets occasionally lend people the opportunity to invest in a condominium with the intention of selling it for profit. This practice is also known as speculating. Many ordinary people become speculators during periods characterized by strong demand. Today, the ever-changing urban demographics and hot real estate markets occasionally lend people the opportunity to invest in a condominium with the intention of selling it for profit. This practice is also known as speculating. Properties are traded every day. During periods of high demand, some condominium owners may resell their condominium units in a relatively short time, sometimes even realizing a profit. 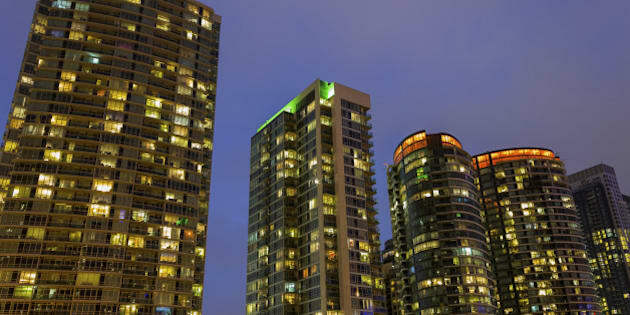 Many such owners do not intend to live in their units for extended periods of time, and some do not live in them at all. They are taking a calculated risk that sometime in the future a new buyer will come along and purchase their unit at a higher price. Many ordinary people become speculators during periods characterized by strong demand. There is a bit of a speculator in every one of us. We all wish to prosper; if buying a condominium unit offers a fair opportunity to make money, some of us will consider it. The aggressiveness of investors is determined by their level of courage and the amount of money (or credit) available. However, in any business, the most important factor when it comes to taking calculated risks is knowledge of the business. Even the most experienced speculators lose money from time to time. You are strongly advised not to speculate in real estate unless you are knowledgeable, experienced, and, most important, in a position to absorb losses should your speculative venture turn sour. Speculating in condominiums is a particularly challenging and often very hazardous activity compared with other forms of real estate. Some speculators do turn a profit, but their numbers are small in comparison with how many lose money. Ironically, the tenant residing in the speculator's unit is often the only one who enjoys the benefits of quality, carefree condominium living by paying a set, "worry-free" monthly rental. In an adverse economy, liens on defaulted units and mortgage arrears may accumulate rather quickly, seriously diminishing the original unit owner's equity by the time the unit is sold. A defaulted unit's sale proceeds are reduced by the arrears of the overall debt and its interest and legal charges. This debt can reach a critical point in which no monies are left for the unit owner after the unit is sold. This occurs most often in cases where the unit owner bought their unit with little or no down payment. A shortfall or a loss resulting from the sale becomes a direct liability of the expelled unit owner. In addition to losing the roof above them, and their original down payment and closing costs, however, small they may have been, owners are confronted with a monetary liability of a shortfall because the unit was sold for less than what is needed to cover the debts incurred. Shortfall liability may haunt the ex-unit owner for years after losing a property. Until the debt is paid, they will deal with judgements, garnishments, and collection agencies, and suffer a tarnished record in their credit report files. To avoid exposure and protect themselves from personal liability, some buyers purchase a unit in the name of a corporation. This may not entirely shield buyers from liability because a personal guarantee is almost always required when applying for a residential mortgage. It may, however, provide protection from being personally liable for liens due to defaults on maintenance fees, assessments, or legal charges. If the condominium corporation insists on a personal guarantee -- when foreclosed -- the corporate shareholder will be stuck with the same amount of liability as if they had purchased the unit in their own name.